Be the first to share your favorite memory, photo or story of Norman. This memorial page is dedicated for family, friends and future generations to celebrate the life of their loved one. 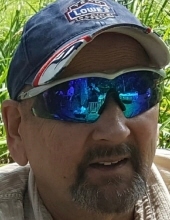 Norman Leo Pierce age 64, of North Providence (formerly of Foster, RI) passed away at RI Hospital on March 27, 2019. Norman was born June 22, 1954 in Providence, Rhode Island at Roger Williams Hospital, son of the late Ralph Pierce Jr. and Lillian (Friedman) Pierce, as well brother of late Ralph Pierce III. Norman graduated Ponaganset High School in 1972 in North Scituate, Rhode Island, where he later followed his dream of becoming a Truck driver at Nationwide Tractor Trailer in Smithfield, Rhode Island. He followed his dreams for many years of being an owner and operator for himself, then for C- Line, Inc. in 2005. Other than driving truck and exploring the country he enjoyed fishing, NASCAR and working on classic cars while raising his daughters. Norman is survived by his ex-wife Mary (St. Peter) Pierce of Foster, RI, daughters Jennifer Morton of Woodstock, Connecticut and Tracy Howarth and husband, Richard Howarth of Smithfield, Rhode Island as well as grandchildren, Brenden Nichols and his companion Karissa Dulude of Glocester, Rhode Island and Gianna Nichols of Woodstock, Connecticut. Norman was also proud to be becoming a great grandfather later this year in November. Norman had many dear friends and family but he especially enjoyed long talks with Tony, Gene and Dale. Calling hours will be held Saturday March 30, 2019 at Tillinghast Funeral Home 433 Main Street Danielson, CT from 9:00-11:00AM, followed by a funeral service at 11:00AM. Burial will follow at Hopkins Mill Cemetery at 33 Ram Tail Road in Foster Rhode Island. In lieu of flowers donations can be made in Norman’s memory to the RI Lions Sight Foundation Inc. at lions4sight.org or VIP Fishing Tournament PO Box 19671 Johnston, RI 02919. To send flowers or a remembrance gift to the family of Norman L. Pierce, please visit our Tribute Store. "Email Address" would like to share the life celebration of Norman L. Pierce. Click on the "link" to go to share a favorite memory or leave a condolence message for the family.